I hope you had a wonderful, restful, and delicious Thanksgiving break! I went back home to Oklahoma for a week and had the best time with my family. My tree is (mostly) up but my shopping hasn't even been touched.. nothing like procrastination! I’m going to be doing a little shopping for myself starting tomorrow! 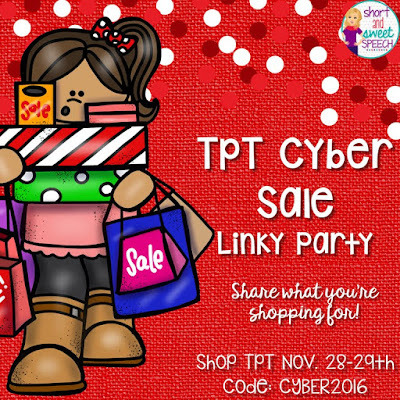 TpT is having their Cyber Sale and I’m stocking up on allllllll the goodies! 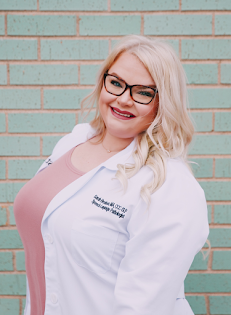 Here’s a few things I can't live without this time of year! 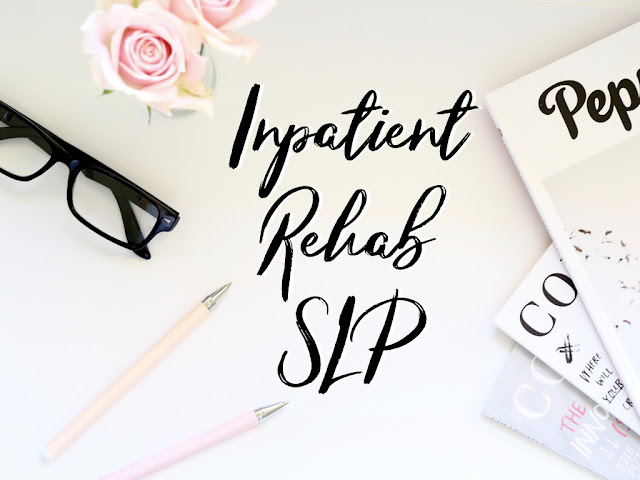 Click the linky below to see what some other bloggers are grabbing as well! 1. 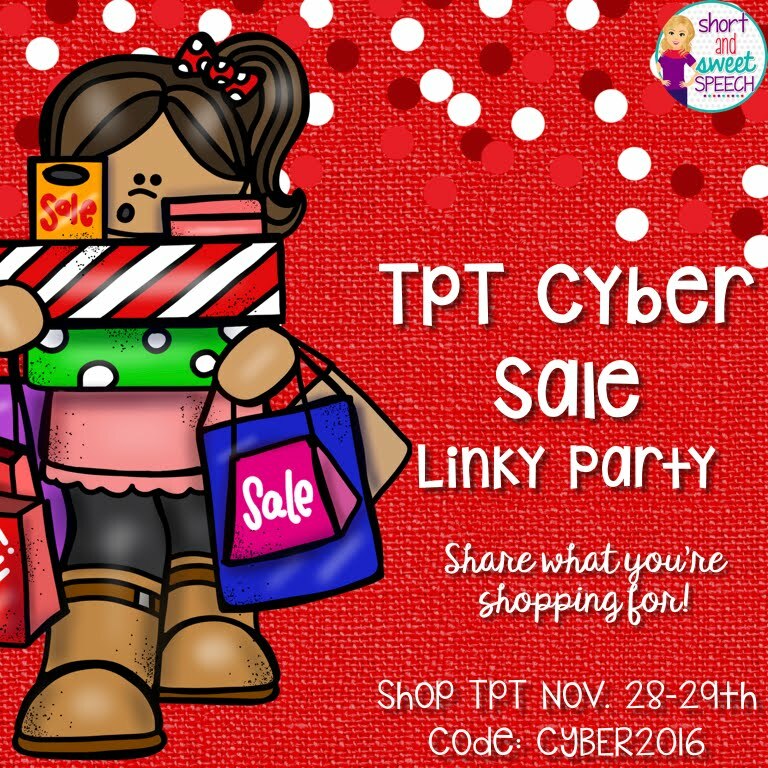 Write a new post using the graphic for the linky party and a link back to the linky party so others can find it! 2. Share a couple of your recommended items from your store along with any other items you are looking forward to purchasing. 3. 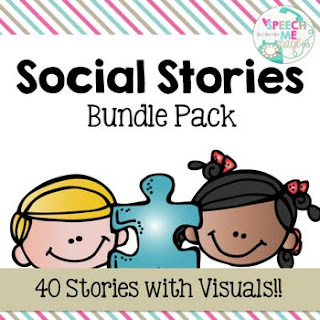 Link up at the bottom of this post and share! 2. 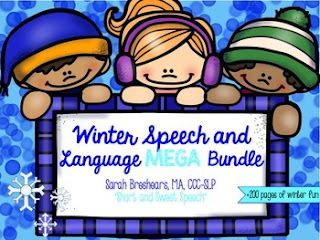 Winter Speech and Language MEGA Bundle- Keep your kiddos busy all season long with this winter speech and language MEGA bundle! 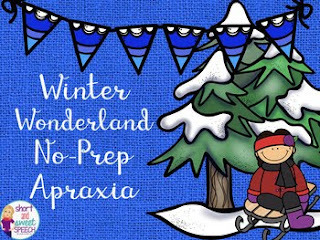 These winter-themed activities cover a multitude of skills in +200 pages. 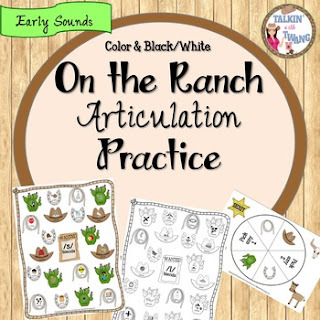 Areas covered include: articulation, receptive and expressive language, following directions, pronouns, plural nouns, irregular verbs, clothing concepts, categories, rhyming, wh- questions and much more!! 3. 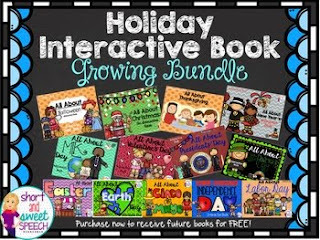 All About Holidays: Interactive Book Bundle- 13 holiday books to keep you prepped year round! 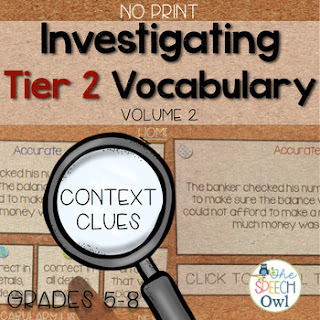 Don't forget to check out these other great recommendations!